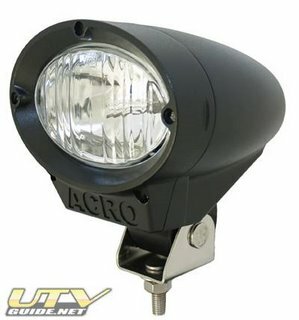 ACRO Lights is pleased to announce it’s all new 6” oval internal ballast HID. Three pattern options including, Spot, Flood (2 types) and Driving beam. Adjustable stainless steel mounting system with shock insulator. Like all ACRO Lights products, this new series is one of the toughest and most dependable HID lights on the market. We also offer a full damage repair program for those of you have the misfortune of damaging a unit. This will allow you to keep this unit in service for years to come. Our LensGuard protective film is available in clear or amber for this new series as well as our entire line of lighting products. Final assembly, inspection, calibration and testing are performed in our California location to insure the industries lowest defect rate of less that ½ % overall.